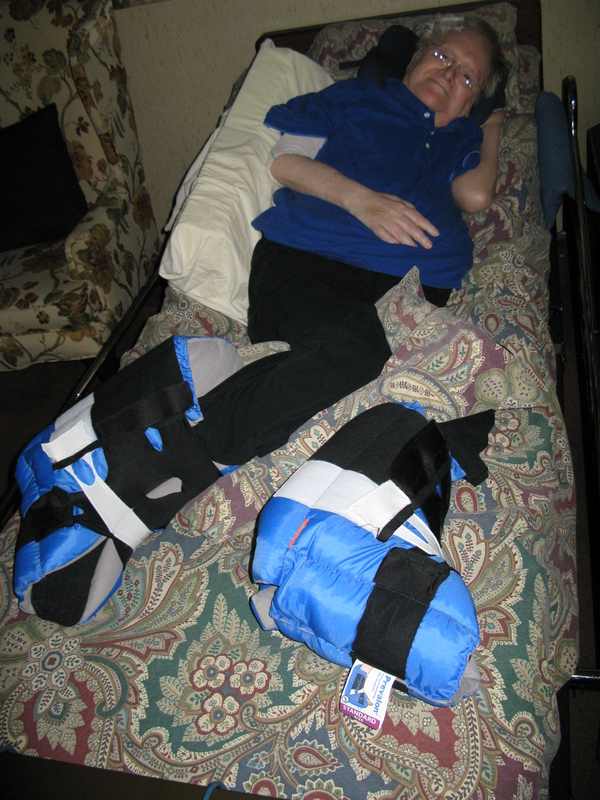 Papa 'bed-skiing' in his new booties!!! p.s. Papa is ‘officially’ clear of pneumonia in his lungs as per Nurse Anna today! yaaaay! This entry was posted in Life (in general) and tagged Bed-ski booties, Papa, roses in the rubble. Bookmark the permalink. 5 Responses to Papa’s new Bed-Ski-Boots!!! 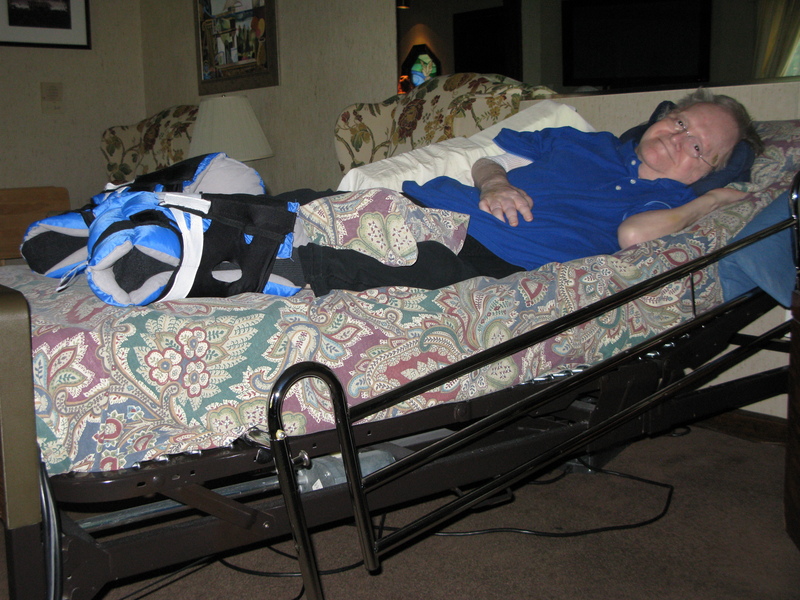 God is Great.Let us praise him for the bed skii boots and for the bed-skiing pnumonia -free papa.Bwana Asifiwe!!! na Haleluya. I imagine that one day all of us can go skiing together in red ski boots on a gorgeous mountain-top covered in snow……..white, white snow. love to family and giving thanks for a good nights sleep. Love that you all have found another way to help his physical situation. 🙂 🙂 🙂 Hi all!